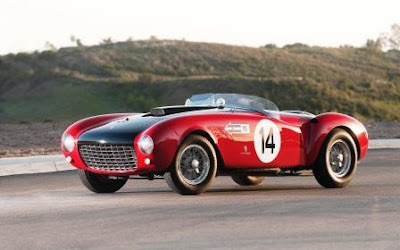 RM Auctions, the world’s largest collector car auction house for investment-quality automobiles, is delighted to announce a superb roster of incredible new Ferrari consignments for its forthcoming Monaco sale at the Grimaldi Forum, 11–12 May. To view select videos, visit the RM YouTube channel. Scheduled during the same weekend as the Grand Prix de Monaco Historique, the highly anticipated RM sale has seen an unprecedented number of historic racing cars joining the ranks of fine sports and road machinery. Continuing its standing as the global leader in the presentation of important Ferraris at auction, RM is now able to confirm a string of additional significant Ferraris for the sale, headlined by one of the two 1957 Ferrari 625 TRC Spiders ever built and a delectable 1966 Ferrari 206 S Dino Spyder, offered for sale for the first time in over 40 years. Other notable entries include a 1953 Ferrari 375 MM Spider and an ex-Michael Schumacher Ferrari Formula One Racing Car from the 2000 season. In total, no less than 22 examples from the Modenese Prancing Horse, spanning 60 years of production, will go under the hammer at the May sale. For further information on the upcoming sale, including afrequently updated list of auction offerings, please visit www.rmauctions.com or contact RM’s London office on 020 7851 7070.